Did you know that some 4.2 million Australians are reported as having a disability? Yet the labour force participation rate for people with a disability is 52.8%, compared with 82.5% for people without disability (read our previous Blog post). Australia also has an ageing population. The 2015 Intergenerational Report projects that the proportion of the population aged 65 and over will more than double by 2054-55. Currently, 16% of the total labour force is over 55 years of age. 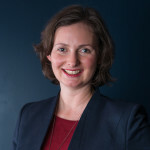 After completing an extensive inquiry into the barriers preventing mature-aged people and people with disability from entering and remaining in the workforce, the Australian Human Rights Commission, under Age and Disability Discrimination Commissioner, Susan Ryan AO, have released their recommendations in a Willing to Work Report. These recommendations have not yet been implemented, but employers should understand what could soon be on the table to not only boost workforce participation but also alter employment obligations to older workers and people with disability. The promotion of leading practice initiatives employers can adopt to assist the employment and retention of older workers and people with disability. Setting and reporting on voluntary targets for the employment and retention of older workers and workers with disability. Whether the 21-day time limit for the filing of unfair dismissal and general protections is promoting efficiency and access to justice. Ai Group is interested in hearing from members about the Report’s recommendations, including how and whether the recommendations should be implemented. For further information about the Report, or to provide your feedback, please contact Nicola Street, National Manager – Workplace Relations Policy.